An update to PDFOutliner is now available on the Mac App Store. OneNote on the iPad Pro is an exceptional tool for note-taking, especially when writing using the Apple Pencil. However, OneNote on the Mac currently does not support copy-pasting of hand-drawn content to other apps. 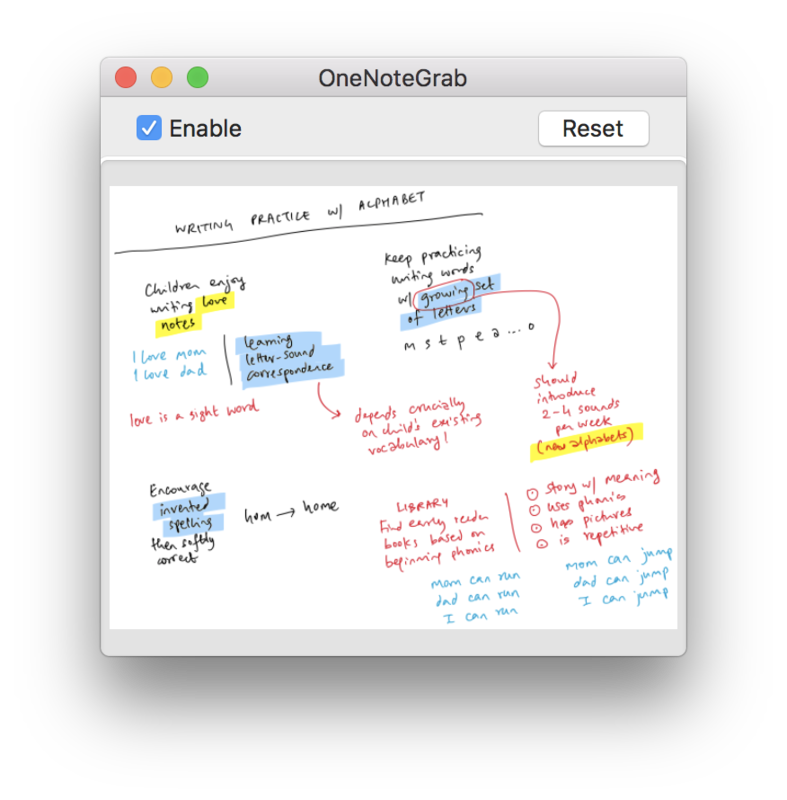 To address this oversight, OneNoteGrab 1.0 is a simple utility that automatically extracts a PNG image from the data copied to the clipboard by OneNote on the Mac, so that you can copy-paste your hand-drawn content into other macOS applications. I use OneNote on the iPad Pro with the Apple Pencil to take hand-drawn notes on Udemy courses. The above is a notes snippet from a Teach Your Child to Read and Write course for K-2 kids. I use Evernote to sequence and prioritize such snippets. Use the lasso selection tool in OneNote for macOS to precisely select the hand-drawn content. Then hit ⌘ C to copy. With OneNoteGrab running. a PNG image will be automatically placed on the clipboard for pasting into other macOS apps. This utility makes it easy to use hand-drawn content created in OneNote on your iPad Pro or Galaxy Note or Surface Pro, in your macOS authoring apps like Scrivener or Ulysses. 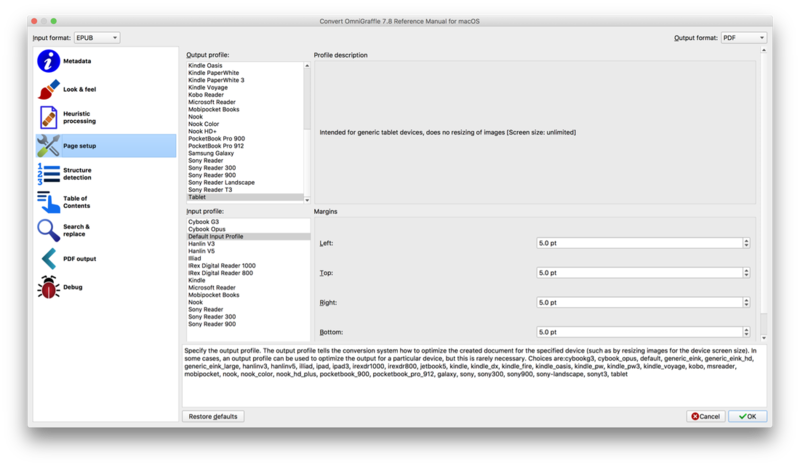 Get OneNoteGrab 1.0 on the Downloads page, for free. 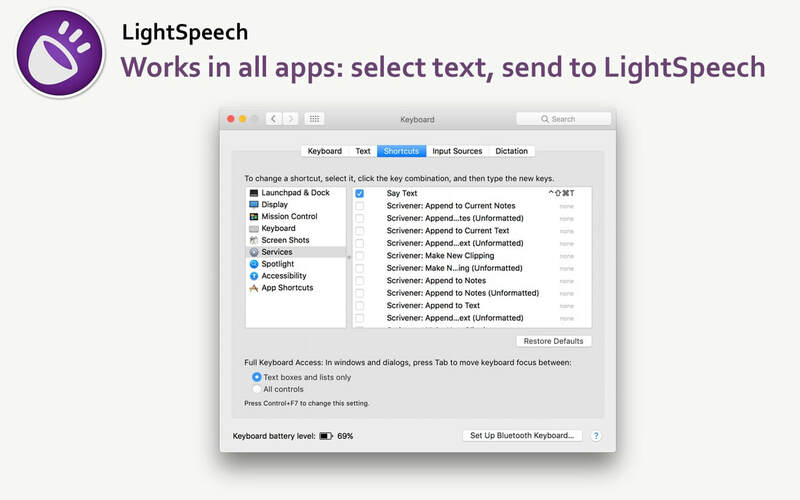 LightSpeech is a text-to-speech application for macOS 10.8 and later. You select text in any app, and send it to the LightSpeech app which reads it out for you. 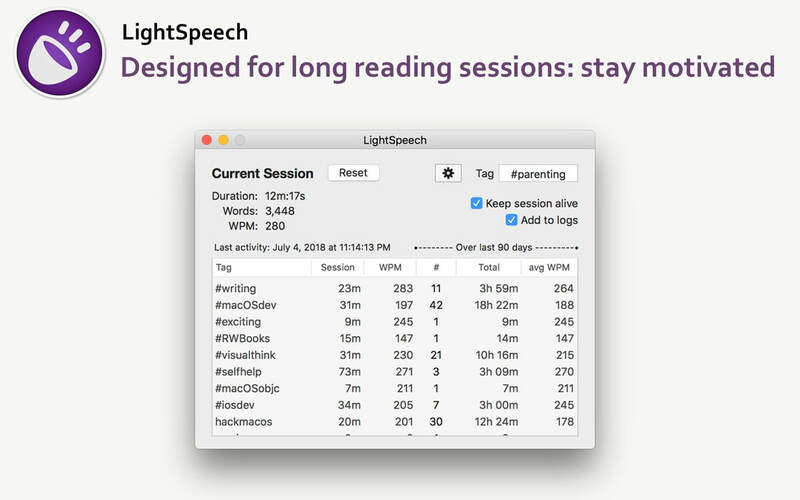 LightSpeech can help you read long articles, chapters and even entire books. And the app keeps track of your reading statistics which may even motivate you to read more. Visit the product page to download a fully-functional trial version. 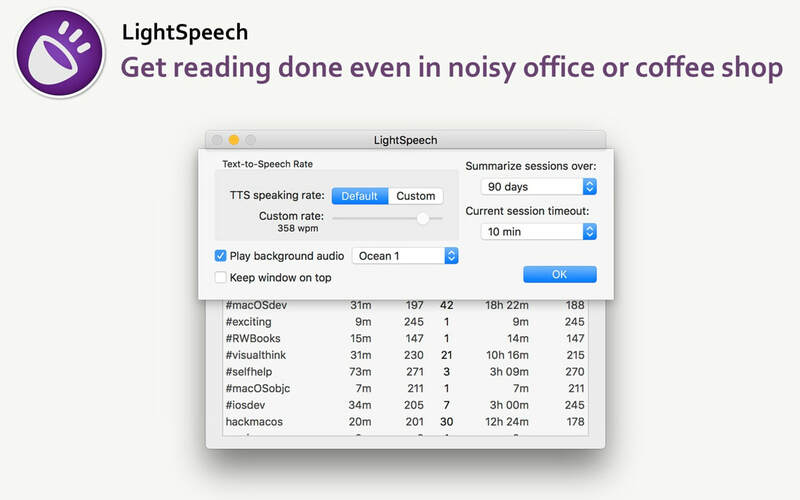 LightSpeech is an excellent companion to PDFSpeech. While the latter enables text-to-speech in PDFs, LightSpeech works with any macOS application where you can select text. Would you like to write more, write fast, and write well? Then this is the book for you. 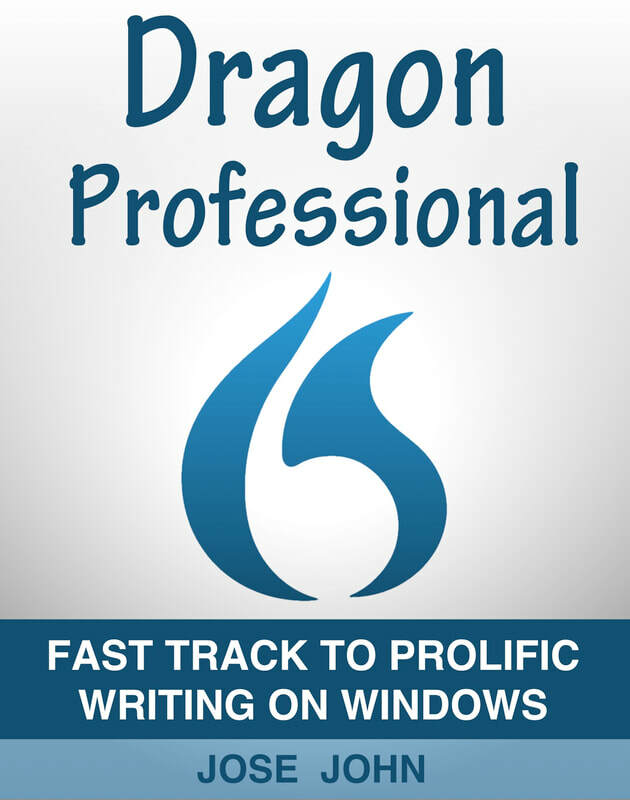 In "Dragon Professional Individual 15: Fast Track to Prolific Writing on Windows", you will learn how to use the Dragon application to convert your speech into text with speed and precision. Version 1.0 of this book covers Dragon Professional Individual version 15.3. The book is available on the Kindle store, and for a limited time, under the Kindle Unlimited subscription service. EPUBs are great for reading on mobile devices, however PDFs have the advantage for serious reading, especially on large screens like tablets and desktops. Unlike EPUBs, PDFs allow for annotations, and precise references through page links (for example, PDFoo URLs) and bookmark outlines (PDFOutliner). I like to fast read technical manuals in PDFSpeech, which makes it easier to consume "boring" parts using text-to-speech technology. To convert an EPUB to PDF, we will use Calibre, the free and excellent e-book management app. 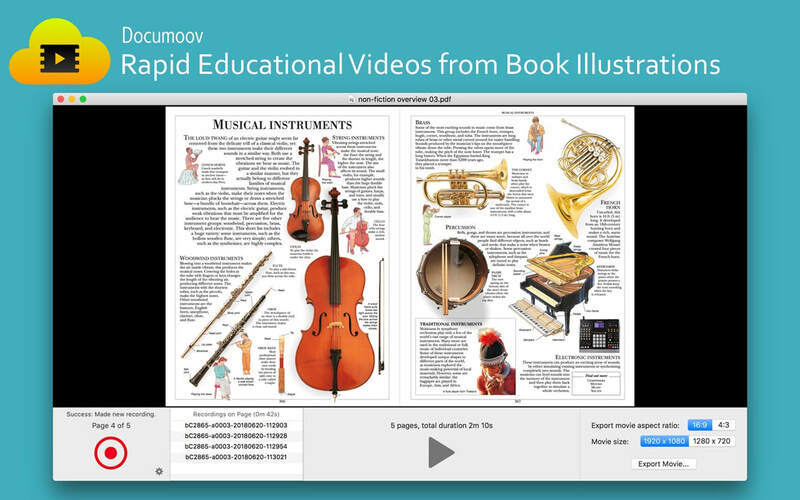 Import the EPUB into Calibre by dropping it onto the window. For this example, I'm using the OmniGraffle 7 Reference Guide. 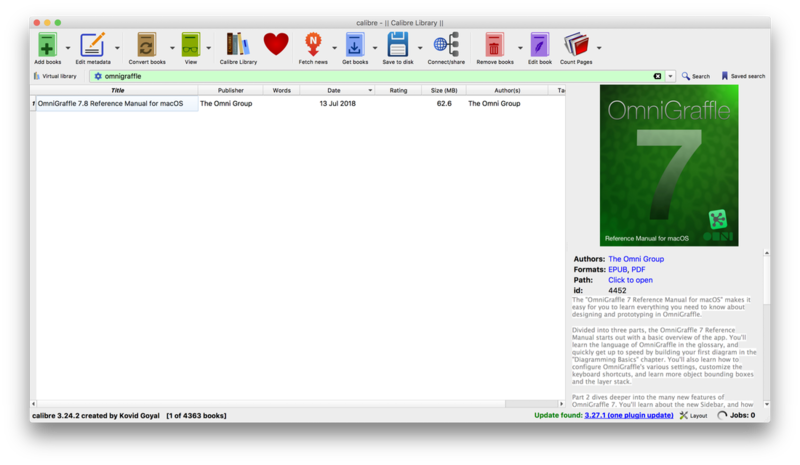 Note that on the right sidebar, below the book cover, is a link "Click to open" that will reveal the folder where the e-book is saved on disk. We will need to access this folder directly in the last step. Right click on the book row, and select Convert books → Convert individually, from the contextual menu. In the dialog that opens, select PDF in the top-right. Then select "Page setup" in the left sidebar, and ensure that the Output profile on top is set to Tablet. This ensures that images in the EPUB (often included by the publisher at very high resolutions) are not unnecessarily downgraded when printed to PDF. In the same Convert dialog, select the PDF output tab in the left sidebar. Check the option for "Preserve aspect ratio of cover". The default page size is specified here (Letter by default) though you can specify a custom page size too. 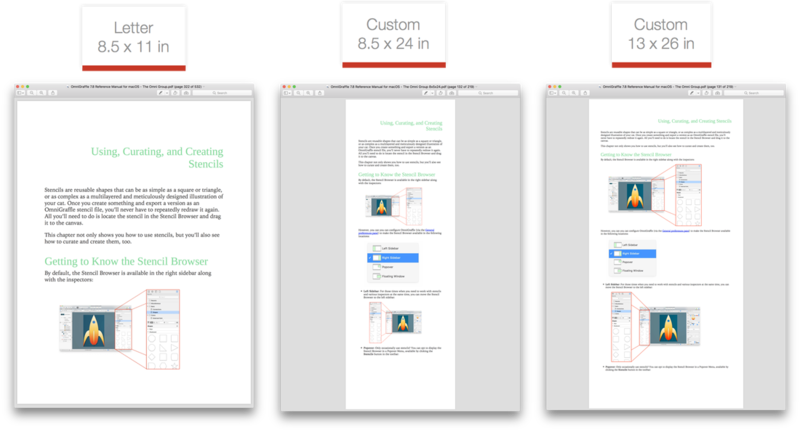 You will usually want to experiment with page sizes for the generated PDF. You can run the EPUB to PDF conversion multiple times in Calibre if you wish, and Calibre will replace the generated PDF. For this EPUB, I chose a size of 13 x 26 inch to balance the relative size of text and images on the page. I like to have sufficient content on each page of a PDF so that when PDFSpeech highlights and reads text, I can see it in the context of headings & images around the text. The PDF generated by Calibre is however not fully compatible with Preview and other tools based on the macOS PDF engine. You can view the PDF but you cannot select the text within. 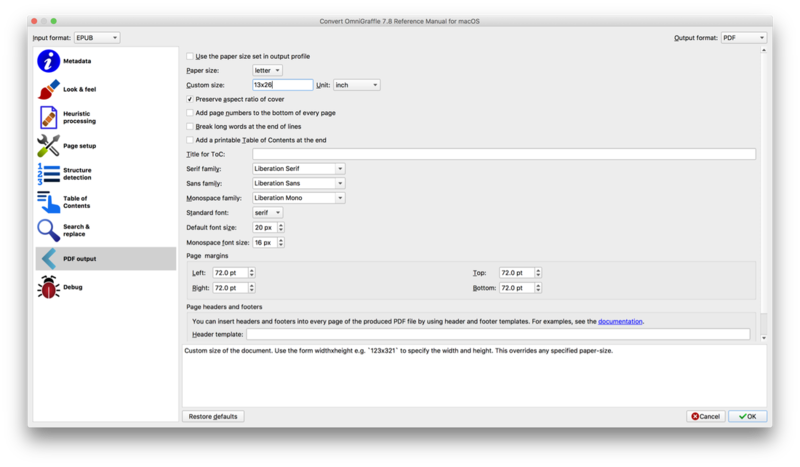 Two workarounds: open the PDF in Preview, then Export as PDF... to generate a compatible PDF. The other option is to use ghostscript utility from the command-line, in Terminal app, for which you'll work in the book's directory on disk. 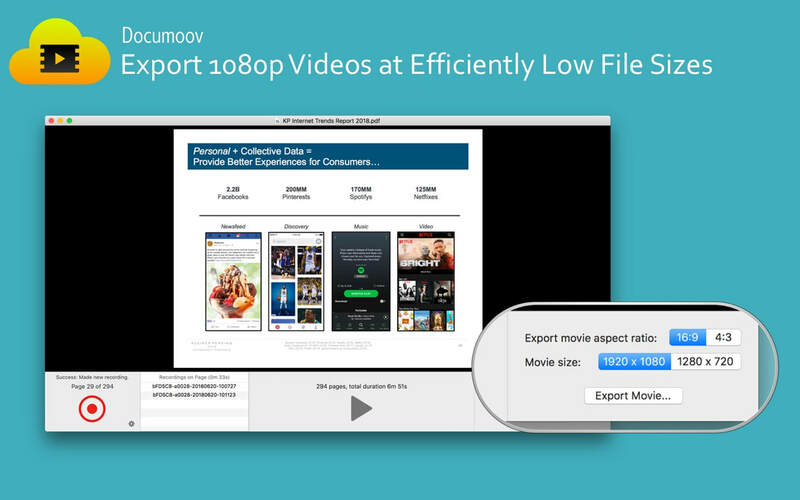 Documoov is a macOS application for making movies out of PDFs. Why would you want to do that? Well, a lot of good quality content is only available in PDFs. And once you've read or browsed through a PDF, you may only want to refer to a part of it anyway. Enter Documoov. 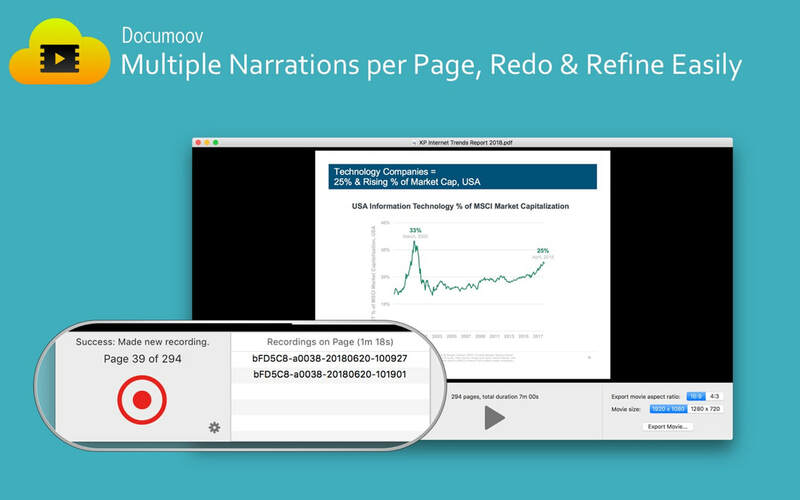 Add narration to pages of your PDF, and export as a movie. Then you can share the movie or carry it on your iPhone whenever you need to review it. All the insights you gleaned from the PDF can thus be played back on demand. 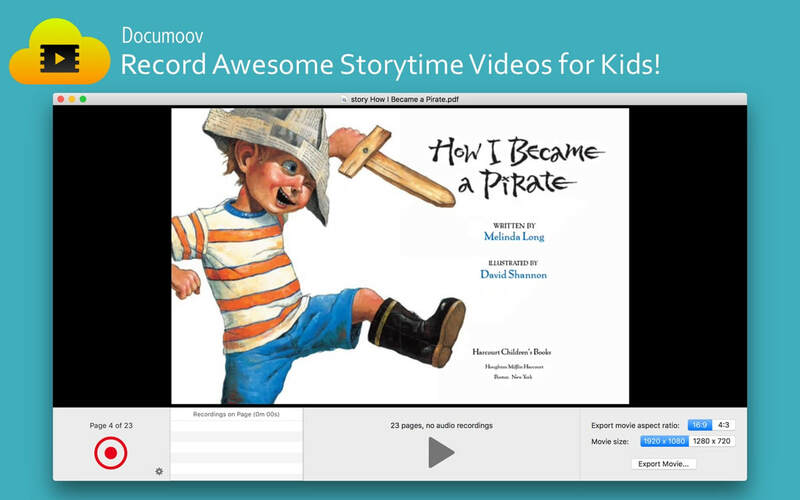 Record awesome story time videos for your kids! Documoov 1.0 is available for macOS 10.11 El Capitan and later. ​Get a 7-day fully functional trial version of the app from the Documoov product page or the full version from the Mac App Store. 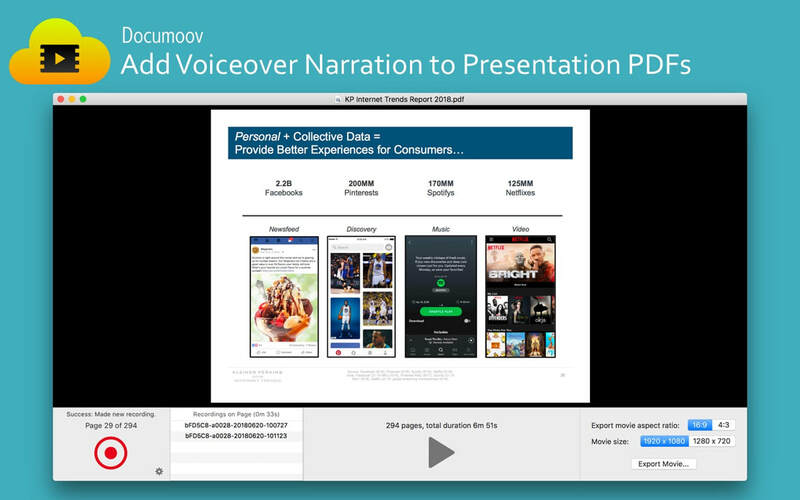 From Safari, print as PDF to the PDFSpeech application. Choose a large paper size for a cleaner look. PDFSpeech creates a PDF Pack and generates a table of contents with the 12 chapters that were printed into this pack. SafariBooksOnline.com is an excellent digital library of technical and business books. This tip covers the steps involved in converting The Sketch Handbook to PDF in a few easy steps. Ensure that PDFSpeech is set to Append PDFs. Open the book's title page in Safari. Print, and send as PDF to the PDFSpeech application. Repeat steps 4-6 for each of the 12 chapters in this book. For long chapters, use a large custom paper size (such as 12x80 inch) to allow more content to fit on one page, and thus avoid unnecessary scrolling across page breaks when reading the PDF in PDFSpeech. 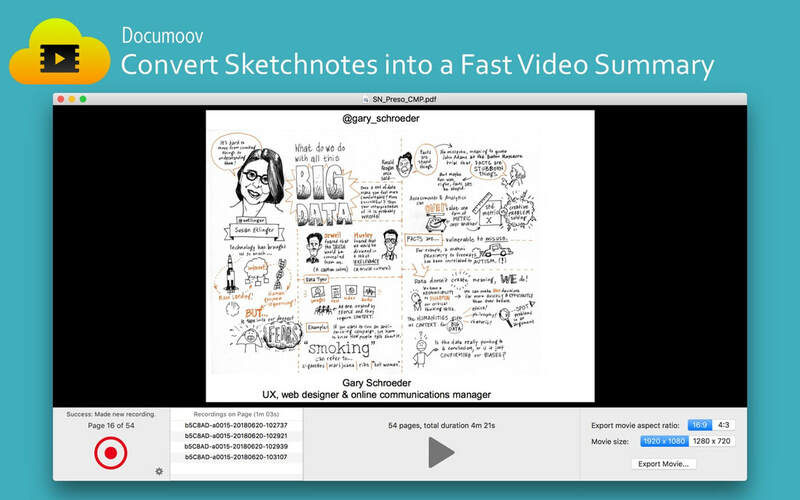 PDFs are easy to annotate, from notes to highlighting to freeform markup. PDFs are a universal format, and can be viewed as expected on any device. PDF Packs remain editable - you can add or remove pages, and even edit the table of contents using an app like PDFOutliner. 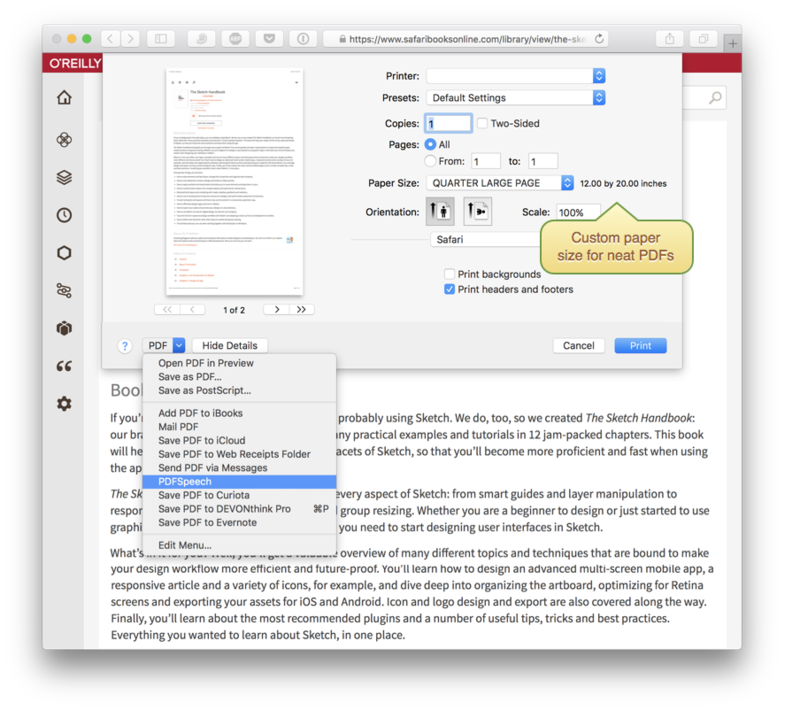 Using PDFoo, you can link into a precise position in the PDF for taking notes externally. For example, collect links to several graphic design "recipes" across several PDFs in your favorite note-taking app. 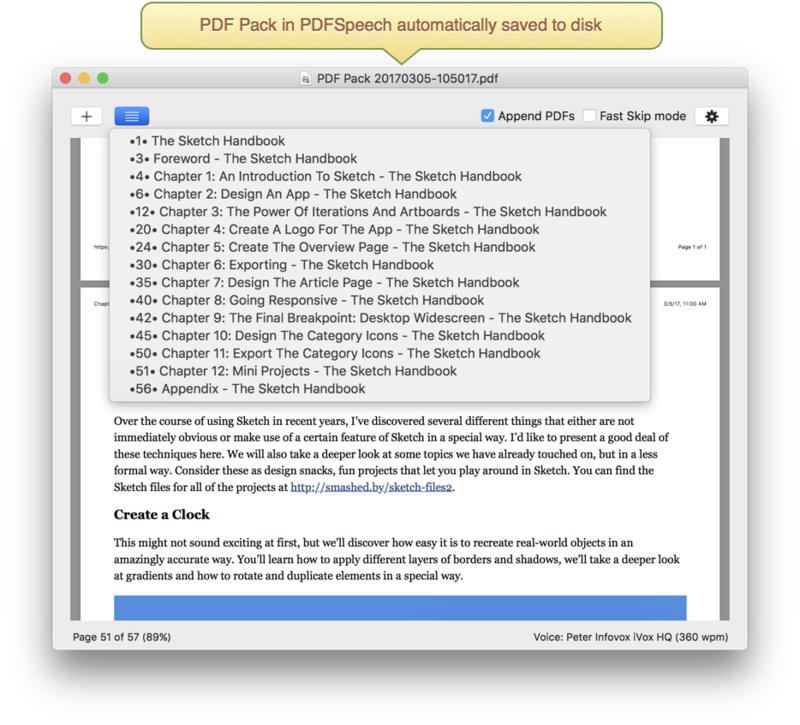 You can use PDFSpeech to zip through the PDF Pack efficiently using text-to-speech technology.